While online shopping I took this screenshot. I don’t know what is worse, the fact that Christophe Decarnin is obviously smoking too much fashion weed or that this shirt is almost sold out! 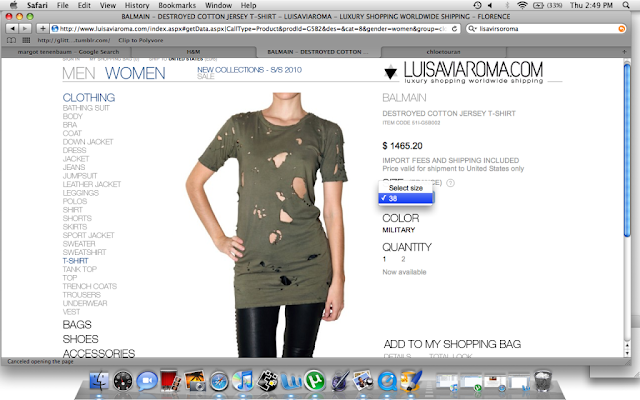 Pierre Balmain must be turning in his grave.